Yes, we shouted for joy, danced to the Lord and loved being free of our sinful nature. Then one day, it could have been the next day, week, month, or year, whatever, we sinned and we knew that we had sinned. Many of us thank God that we had a pastor that told us that if this happens, that we need to come to an altar of repentance, and repent of our sins because with repentance His grace is sufficient. A real problem occurs when repentance is not part of our lifestyle. We sin, we don't repent. Nothing happens. We repeat this cycle and nothing happens again. Pretty soon the sins get bigger and we sin more often. Now we don't even want to pray, never mind repent. Then, we don't want to go to church and listen to our pastor preach about holiness and righteousness. We certainly aren't praising and worshiping God at that point. We just get further and further away from Jesus, until we are completely backslidden. See what I mean? Going to an altar of repentance to repent after we have sinned is leading and living a repentant lifestyle. 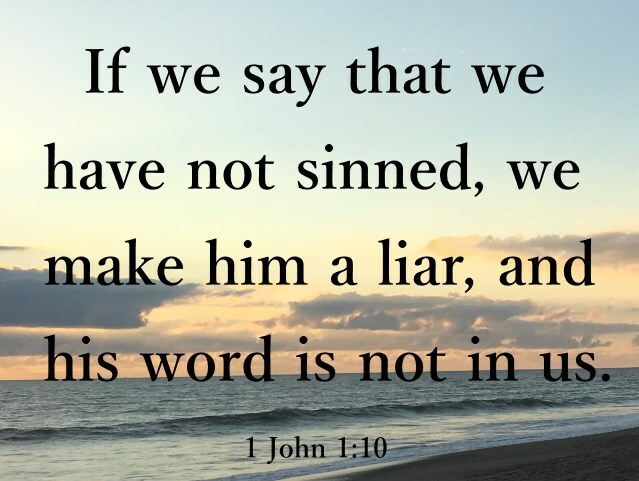 So obviously, not repenting after we have sinned is not leading and living a repentant lifestyle. Part of the problem any Christian will have is that sometimes it is not always obvious to us when we have sinned or, probably more likely, we choose to justify it because of what someone did to us in the past, or choose to ignore it all together, consciously or unconsciously, because others can't see it and at that moment in time we conveniently forget that God sees everything. For example, we may be unforgiving, even carrying a root of bitterness, or be puffed up with pride, or be lustful (and I am sure that you are able to think of other sins that fit in this category as well). Even though theses sins are not as glaring as sins like fornication, adultery, lying, stealing etc., they still are sins that need to be repented of as part of a repentant lifestyle. Search me, O God, and know my heart: try me, and know my thoughts: And see if there be any wicked way in me, and lead me in the way everlasting (Psalm 139:23-24). If we cry out to Jesus like this He undoubtedly will reveal the sins we have hidden but that He can clearly see. Go to "Search me O God" to study more about this subject. The point is that no matter how small our sins may be, they still need to be repented of so we can turn back fully to Him. We will always be veering from the narrow gate if we have unrepentant sin in our lives. All we have to do to answer that question is go to Revelation 2:1- 3:21 NIV. Of the seven churches Jesus was speaking to, only two of them lived a repentant lifestyle and were ready at that time to receive the victor's crown. The other five though, were doomed for destruction unless they repented. Yet I hold this against you: You have forsaken the love you had at first. Consider how far you have fallen! Repent and do the things you did at first. 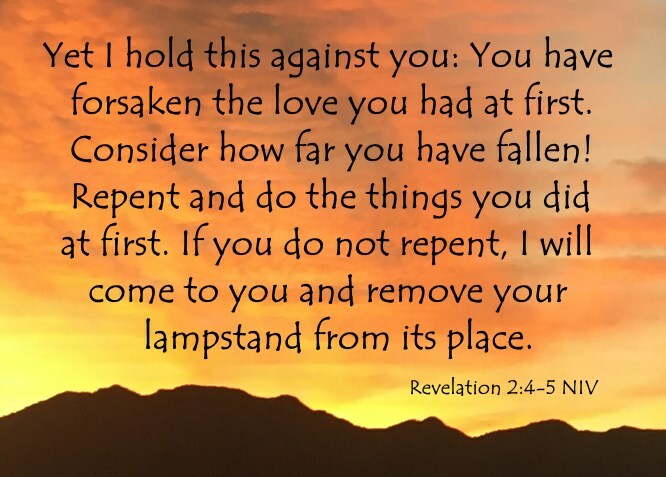 If you do not repent, I will come to you and remove your lampstand from its place (Revelation 2:4-5 NIV). I know your afflictions and your poverty—yet you are rich ....Be faithful,even to the point of death, and I will give you life as your victor’s crown (Revelation 2:9-10 NIV). Repent therefore! Otherwise, I will soon come to you and will fight against them with the sword of my mouth (Revelation 2:16 NIV). I have given her time to repent of her immorality, but she is unwilling. So I will cast her on a bed of suffering, and I will make those who commit adultery with her suffer intensely, unless they repent of her ways (Revelation 2:21-22 NIV). 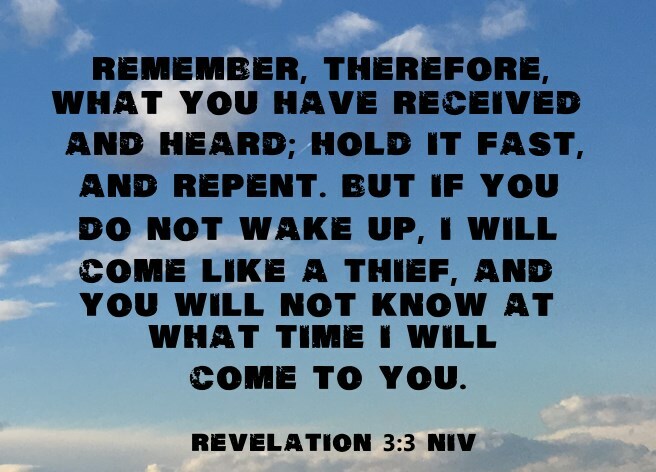 Remember, therefore, what you have received and heard; hold it fast, and repent. But if you do not wake up, I will come like a thief, and you will not know at what time I will come to you (Revelation 3:3 NIV). I am coming soon. Hold on to what you have, so that no one will take your crown (Revelation 3:11 NIV). Those whom I love I rebuke and discipline. So be earnest and repent (Revelation 3:19 NIV). Firstly, it is necessary to be born again (John 3:3-5) by obeying Acts 2:38 to be allowed entrance into the Kingdom of God. 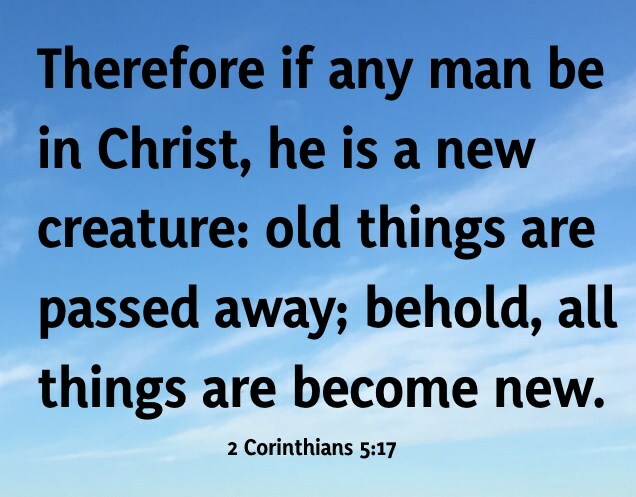 Secondly, throughout the rest of our lives, we need to lead and live a repentant lifestyle to eventually spend eternity with Jesus Christ.